As a business owner, the information that you collect about your customers provides you with the power to customize the service or product experience that you provide to them. Historically, businesses have gathered structured data about customers. This refers to things like their address, demographic information, purchase data and more. Thanks to the power of social media, mobile devices and other online platforms, companies are now also able to take advantage of unstructured data. This is data that includes your online engagement activities, such as your tweets or posts, blogs, online search histories, comments posted on social media platforms, watched videos and more. Many of the top companies, like Amazon and Google, now use unstructured data to recommend products and services that may be most relevant to you. You may think that your company would need to be huge and utterly successful to take advantage of unstructured data in your marketing efforts, but this is not the case. Regardless of the age of your company or its size, you can easily collect data from each user. Smaller companies may even be more apt to customize and personalize the user experience based on a review of this data than larger companies are. Therefore, your company’s size may not be a handicap, and it may actually be a benefit when using big data. Remember that any insight you gather about your clients from even a small amount of data can be helpful. This data is intended to be used in an effort to benefit your customers, and to help them make better and easier buying decisions in the future. Failing to act on the data that you have collected can be detrimental to your startup as a whole. Irrelevant or unused data should be erased or purged. This data can bog down your system. Furthermore, always ensure that the data that you intend to act on is meaningful and relevant to your company in specific ways. There are several costs associated with using big data, but most will find that using big data is cost-effective overall. The most significant of these expenses may be hiring an IT data expert to obtain and analyze the data for you. Because this is a relatively niche skill set, you may pay a pretty penny to access the data you need. The next significant expense is the server needed to collect and process the extensive amount of data that will be harvested. While larger companies may use complicated and expensive systems, such as Cloudera and Hadoop, there are smaller and more cost-effective solutions available. These include YouTube Analytics, Followerwonk, Facebook insights, Google Analytics, and others. You may even have access to free big data through cloud-based or SaaS-modeled platforms. The benefits associated with using big data can far outweigh the fees associated with accessing and analyzing it. However, the solution available for accessing the data can play a major role in how cost-effective it is for your startup to use big data. Knowing your target audience is imperative to your overall success as a business owner. You must know why they are buying your products or services, why they may want to make a switch, which products they may buy next, their preferred shopping methods and more. Through analytics, you can sort through extensive data to determine what makes your customers tick and provide each of them with a personalized experience based on their needs and wants. The insight that you glean about customer behavior and goals can essentially help startup owners make critical and intelligent business decisions. For example, the data can be used to mold your marketing and advertising plan, to assist with energy management, to promote better customer service, to improve overall operations, and more. Through the use of big data, you can more accurately plan your marketing and advertising campaigns, and this can help to ensure that you hit your target. Because big data provides you with critical insight about your customers’ preferences and desires, you can understand exactly what your target needs and expects from you. You can also suggest specific products that may work well for your clients’ next purchases. You will also know which avenues to publish advertising on to generate better results. For example, if you find that your customers use Twitter far more than Facebook, you can focus more of your marketing time and effort on the Twitter platform. Each company has a unique target audience, and understanding consumer behavior is critical if you want to reach out to your current and future customers in the most effective way. More than that, you will also be able to create helpful, usable content for your customers. The best online content for marketing and advertising may solve a problem that is common for the target audience or may be relevant to their lives in some other way. This content is often shared by your users to their friends, family and colleagues for maximum exposure, and it may even go viral. Be sure to ask your customers to leave comments and messages so that you can acquire even more data about them. To conclude, companies of all sizes can benefit from big data, but you have to understand how the power of big data can work in your favor before you learn how to use it. This is an opportunity for you to learn a great deal more about each of your customers on a very individual level as well as to make a broad analysis of their needs, wants and behaviors. Currently, your startup may be using your financial statements to determine sales trends and the efficiency of your production line. 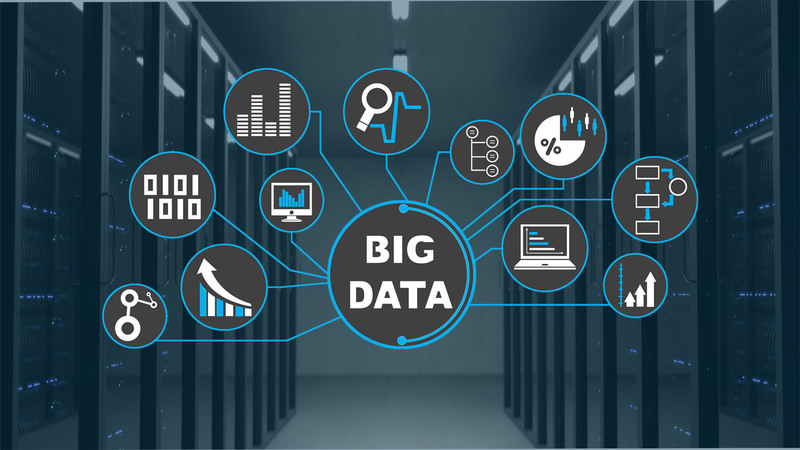 Through big data, you can improve your knowledge in each of these areas, and you can also gain better insight about your competition, its pricing and products. As a savvy startup owner with a forward-thinking mentality, you must carefully analyze all aspects of big data collection possibilities to find a cost-effective solution. Then, you can better determine how to use the analytical data you receive about your customers. This will enable you to transform those casual buyers into devoted, lifelong customers.